Louisville at Memphis: The Tigers come in on a three game winning streak, though the teams they beat are nothing to write home about. The Cardinals are coming off of a bye week, and Hunter Cantwell is healthy enough to get the start. Louisville Tailback, Victor Anderson should enjoy some easy running, with Memphis allowing over 170 yards on the ground per-game. The Cardinals have also looked better defensively as well...which will be important against the multi-dimension Tiger offense. It is a rivalry game so the outcome should be close. Anderson will be the difference in the end, as the Cards get back to their winning ways. Syracuse at West Virginia: This used to be a great rivalry...well...there are quited a few "used" when we talk about the 'Cuse. Lane Kiffin anyone? How about a Lloyd Carr? Paul Pasqualoni? That may have taken it a little too far. 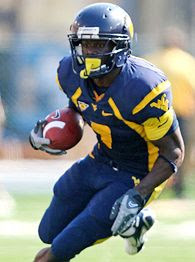 The Orange defense will be put to the test early and often by a Mountaineer offense that is looking to steamroll them. WVU has yet to score over 30 points against an FBS opponent, and this should be the first time it happens. Pat White comes in a bit banged up, following a rocking hit he took from Rutgers. It won't matter though, as backup Jarret Brown is more than adequate enough to run an offense to beat Syracuse down. WVU playmakers' Noel Devine and Jock Sanders should have an easy day finding space, as the Mountaineers roll. Game of the Week. Rutgers at Cincinnati: Rutgers was better last week...nothing special, but better. Though Mike Teel still doesn't look like the quarterback of old. An absence of a strong running game definitely adds into the offensive woes. They are catching Cincy not at a bad time. The Bearcats once again will rely on third-stringer Chas Anderson for the playcalling. Anderson was efficient against Marshall, only throwing one pick. Jacob Ramsey finally broke out as well, going for 99 rushing yards against the Herd. The Knights did a good job limiting the run last week, so expect a stacked box against Cincy. This has turned into a pretty good rivalry. Back in 2006, the Bearcats had the big upset on Rutgers, who thought they were on their way to the BCS championship. The Bearcats defense should be able to do what they do best; create turnovers. That, along with Rutgers inability to run the ball with authority will be the difference. Chris Sedenka is the host of the PM JAB, which can be heard weekdays between 3-7pm on 96.3FM and AM1440 sports radio WJAB in Central and Southern Maine...and wants to know if you will get in his car.